Thursday, April 18, 7pm at the Innis Arden Clubhouse, 1430 NW 188th Shoreline 98177. We hope you'll join us for an exciting event! Meet Ginny Scantlebury and some of your neighbors while enjoying our homemade cookie extravaganza and beverages. 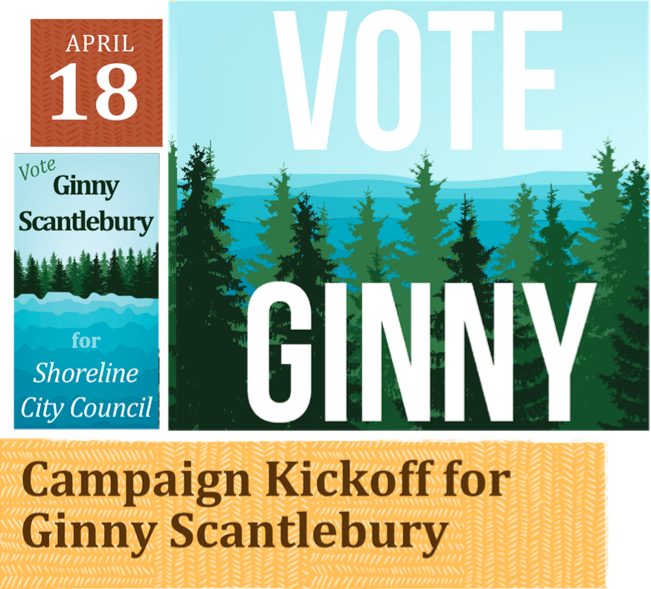 After spending hundreds of hours organizing Shoreline residents to gather 1800 signatures and being shut down each time, Ginny decided that it was time to take the next step. As a City Council member, Ginny will always listen to residents' concerns, always fight for local business and work every day to ensure that Shoreline parks continue to be places for Shoreline families and their kids. Please RSVP by calling or texting Ginny (206) 753-3588.